It is relatively easy to investigate the important buildings, features of the landscape and the more prominent people who have lived in the village, but it is often much harder to find details of the ‘ordinary’ men and women who populated the village in the past. In Castle Rising, however, we are fortunate in having a great deal of information which has been preserved in the Norfolk Record Office and elsewhere, and which give us insights into the lives of those people. A very early list of Castle Rising residents comes from 1170, when a list of payments was made by the resident men of the village to the Jewish financier Deulebeny who had loaned money to William D’Albini. The records of the Manorial Court, covering most years from the 1650s to the mid- 19th century, provide evidence of local land management practices and land tenure changes. More importantly, they list the names of all men aged 13 and above who were eligible and expected to attend its annual meetings. Parish Records of Births, Marriages and Burials from the late 16th century augment the Manorial Court records and are valuable for genealogical research, as are the Population Censuses from 1841-1911. The 18th century Poor Book records some of the people who needed help from the parish. The main residence of the Howard owners of Castle Rising for more than two hundred years was Ashtead in Surrey. The Ashstead archives contain extensive correspondence between the Howards and the agents who managed their estate. These letters deal with the business of running the estate, chronicle events, issues and disputes in the parish, and give interesting snippets about the characters of local residents, particularly the tenant farmers and millers. 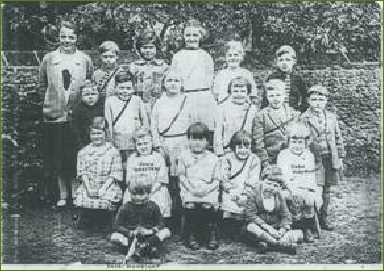 Castle Rising was one of the earliest villages in the region to have a school for local children It was built in 1817 and closed in 1962. The school Log Book gives very useful insights not only into the work of the teachers and scholars, but also into life of the village at that time. We have also been able to learn much from the memoirs and recollections of former and older residents. From them we have recorded details of changes in farming, transport, family life and housing standards as well as how the two World Wars affected village life.